The Google I/O event is portrayed to be wholly organized for the developers, but is quite more than that. There are a few exciting announcements made every year at the Google I/O, and Google has never failed to surprise the mass with exciting stuff. This time, as expected, there are some exciting announcements done by Google. The company has now tried to unify and give a similar experience for users on different devices. Check out the list of best announcements done at Google I/O 2014. Android One – the developing world gets a cheaper Android phone. 1 billion active users for Android OS, but is that enough? certainly not because it is not a big percentage of population in the world which is using a smartphone. Google wants to make it possible for people to get cheaper Android smartphones, and by introducing Android One, Google is attempting to release $100 Android smartphones in the Indian market, and the partners who would be doing it – Micromax, Spice and Karbonn. During the keynote, Android head Sundar Pichai unveiled the first device under the Android One programme, and this device from Micromax will come with a 4.5-inch display, regular OTA updates, Stock Android, MicroSD card slot and it is going to cost somewhere around $100. There are already a lot of Android smartphones with a pricing lesser than $100, especially in India, but none of them were able to provide a pure and good Android experience. Earlier to the I/O 2014, different Google products had different designs. But now, Google announced “Material Design” which would be carrying a same style of design across the Google products such as Chrome browser, Android mobiles and the web. The Material Design is simple, minimalistic and has more room for the text but the design is not made totally flat. Google has taken the inspiration of Google Now, and this was a good news for the developers who can develop apps in a single style. One of the interesting announcements at the Google I/O keynote was of the Android L – a new OS for every device around you – phone, car, TV, tablet device! The Android L gives a new refreshed look, while trying to maintain the similarity and see how an OS should work, no matter whatever the device is. This is made in adjunction with the Material Design, so that the incorporation is easier on different types of devices. There’s a lot of new stuff in Android L – Lock scree with the notifications stack, and this interacts in the same way on all the devices. With the new L OS version, you don’t need to unlock the phone screen with a password if you are using a smartwatch powered by Android Wear. There’s a new feature “Personal unlock”, which searches if your phone is with you, and based on that would choose to automatically unlock the device or give an option of entering the password to unlock. There are changes to the search, and there is unified multitasking across the apps and chrome tabs. Remote Wipe & Security features – these features are finally integrated in the Android L, and it would feature a kill switch that lets the user to remotely wipe their device if it is stolen and restored to factory settings. Android Wear was announced a couple of months back, but now, Google has given a complete walkthrough of what we are going to see in this smartwatch-OS. There is a lot that can be done in that little screen taking place on your wrist, if it is running the Android Wear OS. Alongside this, Google mentioned about the LG G Watch and Samsung Gear Live smartwatch, both of which are available for pre-order on the Google Play Store. The G Watch is priced at $229, while the Gear Live is available for $199. One of the disappointments for the Android Wear fans would be the delay in launch of Moto 360 smartwatch, because that is the one looking like a regular watch with the round clock face, but Google said that the 360 launch will make you wait till summer. The Android L operating system isn’t limited to smartphones and tablet devices. It is now coming to your car, this year itself. At the Google I/O, the Android Auto was announced and it is said to have features similar to what you see in the phone. There’s an integrated display, and the phone when attached to the car screen, would be taking control of the dials and buttons of the car, and the Android Auto would focus on navigation, communication and music. Although late with this idea (Apple and Microsoft already announced such concepts earlier), Google has done quite a big announcement because around 40 car brands are a part of it already, and the support is being extended to the cars. Earlier: What we actually expected from Google at the Google I/O 2014. The major focus would be on the operating system which has moved leaps and bounds ahead – the Android OS which has seen a lot of development and has been picked up by several manufacturers. The current latest OS version is Android 4.4 KitKat, which has moved to 4.4.4, the sub-version. 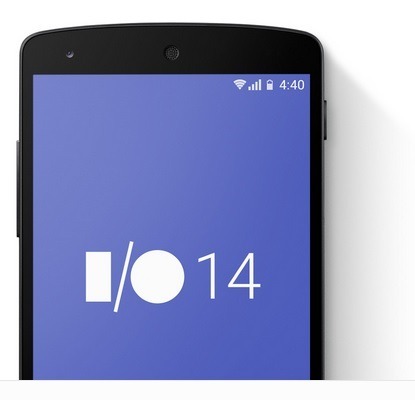 At the Google I/O, we expect to see Google announcing the new major Android version, i.e. Android “L” where L isn’t the name but the name would start with that letter, given the tradition Google follows for naming the Android versions – right from the beginning. It was Doughnut, Eclair, Froyo, Gingerbread, Ice Cream Sandwich, Jelly Bean, KitKat and now, it could be Lemon Pie or anything around it. Let’s hope Google announces it at the Google I/O with some exciting upgrades to the features. Google already announced this platform for the smartwatches, but there was nothing on the hardware side, and there is a lot to be expected, especially the LG G Watch, Moto 360 and also there’s a rumor already that Samsung is coming up with a smart watch with Android Wear, and that should be announced at the Google I/O event. Android Wear does quite a few things which you see on the Android OS, i.e. the “Google Now” type of notifications, navigation to places, and a lot more. Smart Watches anyone? There have been a lot of photos of people flaunting the Google Glass they wore, but most of them are developers and the general public still is far from getting this expensive-yet-exciting piece of wearable gadget. The cost of $1500 is quite high already, and we expect Google to show some mercy there, and also make this finally available for the public in the important markets. If not the release, we expect Google to at least let us know the roadmap about the development and launch of the Google Glass. There are a few leaks already about this. The new Nexus tablet from Google, and this time with a little bigger screen size (around 8-inch) is expected to be announced at the Google I/O event this year. Codenamed “Flounder” and “Volantis”, the tablet device with the supposed screen size of 8.9-inch is said to be made by HTC this time, and there were also talks that Google might be ending the Nexus series with this, although there is no confirmation about it. Though liked by many, Google+ as a networking platform needs a lot of improvements and changes. The executive of Google Plus, Vic Gundotra left the company and there were speculations that Google+ no longer would run the way it did, and it could be worse. There is a lot to expect from Google this time about the plans and major upgrades to the Google Plus platform, which has already been well integrated into Google search too. Watch out for the Google I/O keynote on June 25th at 9AM PT / 12PM ET, and we would be covering it live.